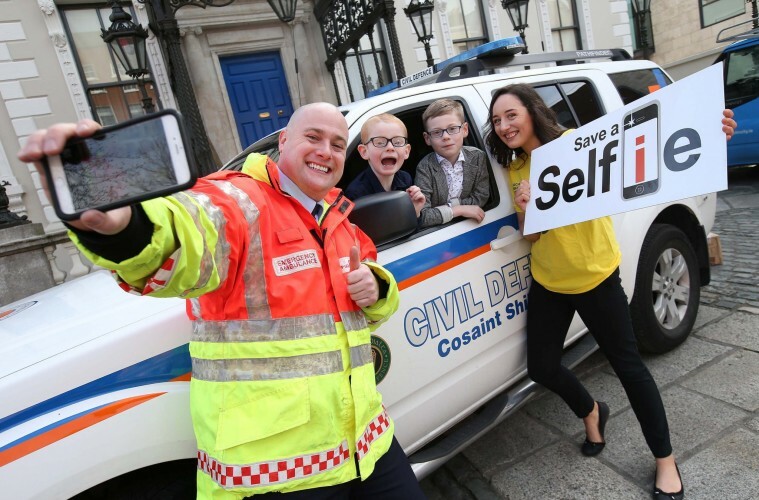 ‘Save a Selfie’, an interactive mobile App that allows members of the public to take “selfies” alongside emergency equipment, was officially launched yesterday by the Lord Mayor of Dublin Críona Ní Dhálaigh and representatives from Dublin Fire Brigade, Order of Malta, St. John Ambulance and the Red Cross. The App, which has been developed by volunteers, allows members of the public to take selfies with life-saving devices. The images are uploaded to the App and its locations are tagged on a map. Photos that are uploaded will be shared with members of the emergency services and the public to raise awareness of the locations of these critical life-saving devices. These locations can also be shared on social media. In December 2015, Social Innovation Fund Ireland opened the inaugural Animate Programme, Ireland’s first ‘non-profit accelerator’. Through this programme, Save a Selfie received a €5,000 bursary, which has helped develop and launch the App. The App is available from iOS and Android and can be downloaded from www.saveaselfie.org.